Jack Cassidy is Professor Emeritus at Texas A&M University-Corpus Christi. At that university, he was both Associate Dean of the College of Education and Director of the Center for Educational Development, Evaluation and Research (CEDER). 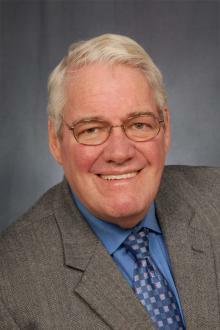 He is also Professor Emeritus at Millersville University (PA). In addition, he is the Executive Secretary of the Specialized Literacy Professionals Special Interest Group, a position he has held for almost 30 years. He is a former President of the International Literacy Association (formerly International Reading Association) and the Association of Literacy Educators and Researchers (formerly College Reading Association). He is also the first president of the Texas Association for Literacy Education (TALE) and the second president of the Diamond State Reading Association (DE), both of which groups he helped establish. The Distinguished Service Award from TALE is now named in his honor. He is the recipient of numerous awards in the field of literacy. Jack has been a classroom teacher at the elementary, middle and high school levels. He has also served as a school reading specialist at all those levels. For six years, he was the district K-12 reading supervisor in Newark, DE, home of the International Literacy Association.